With many years of experience in the cleaning business in the Schenectady County, Albany and Troy NY area, your search for a professional cleaning service ends with Schmid Cleaning. Our professional cleaning services keep your home or business looking great. Specializing in house cleaning services and post construction cleanup, we provide Schenectady County, Troy and the Albany area with a premier choice for residential and commercial cleaning services. 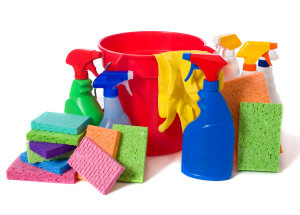 So when you are in need of professional and reliable cleaning services, turn to Schmid Cleaning. Email us at schmidcleaning@aol.com or call us at 518-573-3962 today. Started in 1995 by David L. Bonitatibus & Joseph D. Schmid both wanting to provide a quality service and as well as a great service to the people of the Albany/Schenectady/Troy area. We help people who may have hoarding issues as well as minor clutter problems, to every day clean up.